Our definition of “comprehensive”: everything you need is here! If you’re looking for comprehensive dental care, then you’ve landed in the right place. 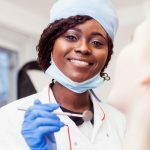 We’re going to go over a few things that you ought to expect when you arrive at a dental practice that claims to have “everything under the same roof.” As a note, this list is not comprehensive of all Penn Dental Medicine offers. 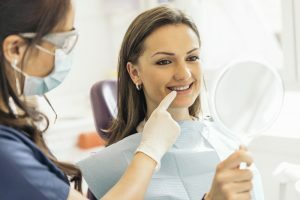 General dentistry: Your general dentist will provide services which include prevention (such as dental cleaning, recommended every 6 months or at least once a year) and restorative treatments– like fillings, crowns, bridges, dentures, etc. Your general dentist is like your primary physician, who can refer you to specialists if your condition requires it. Periodontics: A periodontist is a logical second to your general dentist. Gum disease, or gingivitis (periodontitis when it’s more severe) is not an uncommon dental problem. If your gums bleed and/or your teeth appear to be receding, it is a sign that bacteria has taken up residence in your gums. Your periodontist will assess the severity of the disease and prescribe a treatment plan. Dental implants, crowns, and bridges: You’ve had an accident and notice that now your tooth is cold-sensitive. Or, perhaps you notice that it has been chipped or fractured. Maybe you’ve completely lost a tooth! Depending on your needs, you would be referred to a specialist who will ensure that your tooth damage extends no further than it already has. A crown fits over a tooth to restore and protect it. A bridge or dental implant completely replace a missing tooth permanently. Endodontics: If the pulp (nerves, tissue, blood vessels) inside your teeth get infected, then that’s when you need an endodontist to help. 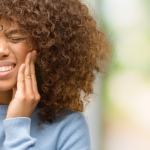 The root canal is the most commonly associated procedure with endodontics, but you can also get endodontic surgery, traumatic dental injuries, vital and regenerative pulp therapies, and even non-vital tooth bleaching. Learn more. Orthodontics. No list of comprehensive dental care would be complete without this pillar of the dental profession. 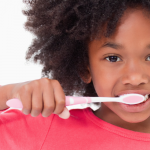 Straightening teeth is not just for kids, nor is it done for cosmetic purposes alone! 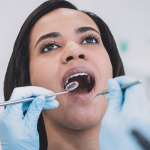 At Penn Dental Medicine, your mouth will be protected from problems down the road with high quality materials and the most up-to-date knowledge in the field. Smile for the camera, because straight teeth are your destiny! We hope that you come try out our comprehensive dental care services at Penn Dental Medicine. We provide services for your whole family at deeply discounted rates because we operate out of a dental school. Take advantage of our offer and you will never need to go anywhere else for your dental care! Fill out our online form to start the conversation today!